The Nelson Mandela Bay Business Chamber today launched an exciting new programme, where SMEs are offered free services and assistance by fellow member companies. The Nelson Mandela Bay Business Chamber’s SME Task Team started the SME Pro Bono Service Programme to create a formal structure for businesses to connect – through identifying members willing to offer pro bono services or advice to other member companies. SME Task Team Chairman Wesley Augustyn said one of the goals of the Task Team was to create an enabling environment for SMEs to grow sustainably. “Even though SMEs are one of the mayor growth engines of the local economy, they do face several challenges. As a Task Team we want to help SMEs overcome challenges they are experiencing e.g. finance, labour and access to markets,” Augustyn said. Service providers, who are members of the Business Chamber, have volunteered their company’s time by sponsoring hours to provide free services in the fields of legal, labour, mentorship and access to markets. SMEs, who are members of the Business Chamber who meet relevant criteria, will now apply to be matched with the appropriate service providers. “I find this programme to be quite helpful and an interesting development for the Business Chamber. We don’t always know what is expected from us as SMEs and this is a good programme to get upskilled in,” said Bolosha Global Enterprises owner Ruthanne Mboyi, one of the SME Pro Bono Service Programme applicants. SME Task Team Board Lead Robert Niemand thanked all the service providers who were offering their services to make sure the economy grows in Nelson Mandela Bay. “SMEs are the future of our economy and we need to make sure they are strengthened and being developed sustainably. The programme aims to successfully connect SMEs with shared expertise to ensure sustainability,” Niemand said. Service providers who will take part in the first phase of the Pro Bono Service Programme include Labournet, eNtsa, Absa, CMW Automation, BCC Group, Coega Development Corporation: SMME Unit, Alurase Financial Services & Trading, Black Sheep Holdings and Van Heerden Attorneys. 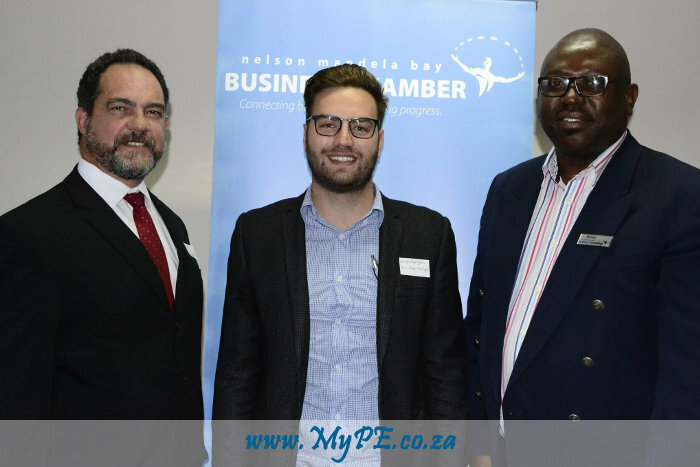 Nelson Mandela Bay Business Chamber Acting CEO Prince Matonsi said the SME Pro Bono Service Programme is expected to grow the economy of Nelson Mandela Bay through practical and effective collaboration. The SME Task Team is one of the “Action Arms” of the Nelson Mandela Bay Business Chamber and is committed to creating an environment for SME businesses to flourish in, whilst addressing inhibiting factors which impact upon such businesses.